Science fiction authors often try to add a false air of credibility through the gratuitous use of scientific-sounding jargon. On the other hand, they rarely attempt to emulate the real language of physics, which is mathematics. 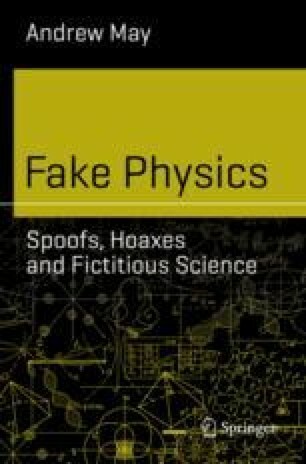 For that, we need to look beyond fiction to spoofs produced within the scientific community itself. A particularly fertile area involves “spurious correlations”—alleged relationships between statistical measurements that follow the same trend, without having any real cause-and effect connection. Another easy target for spoofing is the highly ritualized style of academic papers. This has become so predictable and formulaic that convincing—though nonsensical—examples can easily be generated by computer.